You can call me obsessed for seeing Arcade Fire twice in October, but if you haven’t seen a show on their arena tour, you’re definitely missing out. I also managed to catch Alt-J and Phantogram live up in Seattle this month. But even if you don’t get out to live concerts, that’s no excuse for not checking out new music. 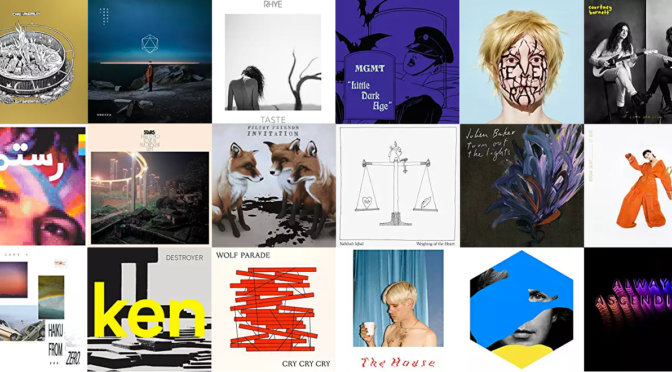 My latest list includes new singles from MGMT and Franz Ferdinand, and we have tracks from an avalanche of LPs out from ODESZA, Cut Copy, Julien Baker, Stars, Fever Ray, Destroyer, and more. Check it out. You can find and follow my playlist at Dnak 102 on Amazon Music. You can follow me and check out DNAK 102 on Spotify.